Once you’ve brewed iced tea, in order to maintain ideal taste, quality, and freshness, it’s important that it’s stored properly. If you’ve made iced tea for a crowd and find you have leftovers it can be saved to enjoy later. 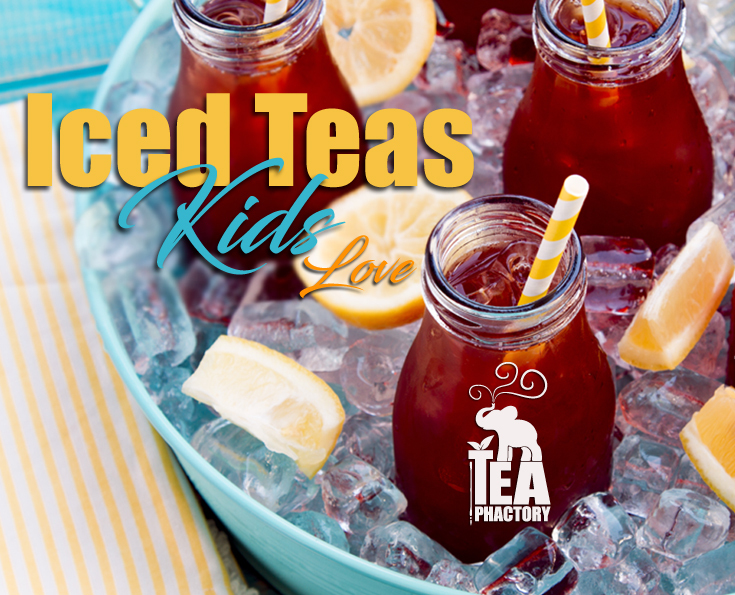 While it’s nice to have a cold, refreshing glass of iced tea readily available, especially on a hot summer day, it’s best not to make more tea than you can consume in a reasonable amount of time. Stored properly, iced tea should remain good in the refrigerator for at least two days and up to a week, at most. Discard any tea that has turned cloudy or has an off taste or smell as it has likely begun to ferment. Let’s face it, fresh brewed iced tea is an all natural product. That’s why we love it. It’s free of the artificial preservatives that make processed, commercial, and chemical products keep for a long time. Part of enjoying iced tea is respecting that it has a short shelf life. Fresh is best. 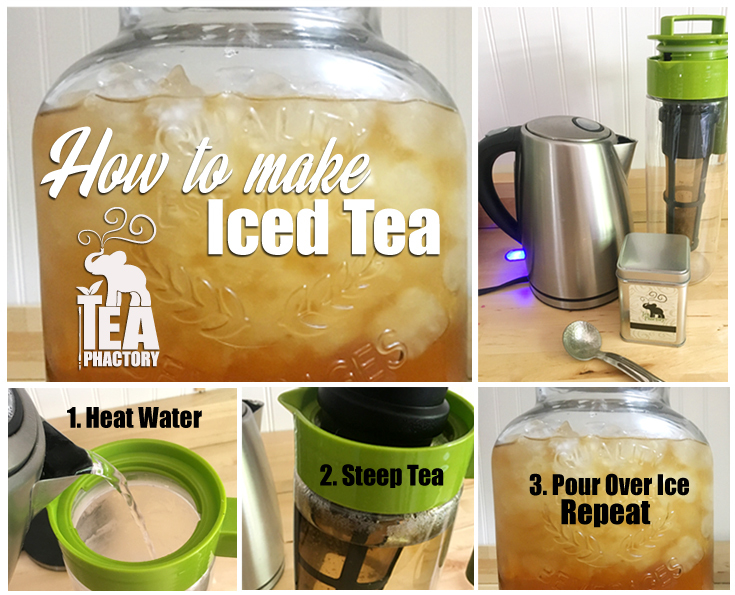 If cold brewing was the preparation method, the iced tea will already be in the refrigerator. If traditional hot water steeping methods were used, allow the finished hot tea to cool to room temperature before placing it in the refrigerator to chill. This prevents the brewed tea from clouding and serves up a clean glass of iced tea. It is not recommended to leave brewed tea at room temperature longer than eight hours. No matter by which method the tea is brewed, make sure that a clean dispenser or pitcher is used. When storing iced tea, a glass vessel is preferable to preserve optimal taste. Many types of plastic can absorb and transfer flavors. Ideally, use a container with a tight fitting lid to reduce the amount of oxygen the tea is exposed to. Exposed teas can oxidize resulting in flavor changes and reduced freshness. If you’ve honestly made more tea than you can truly drink, don’t let it go to waste. Simply pour it into ice cube trays and place in the freezer. Once the cubes are frozen solid, they can be removed from the ice cube trays and placed in freezer bags. These frozen tea cubes are perfect for adding to a smoothie in place of plain ice. 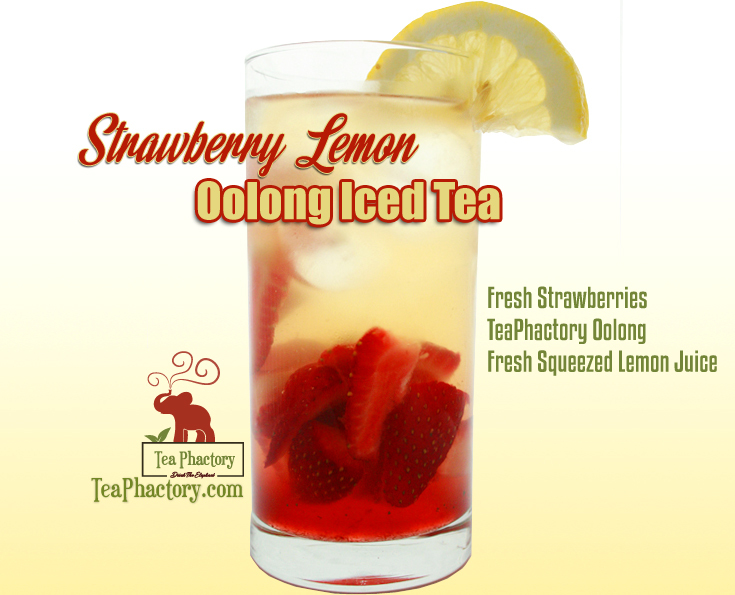 Spring is here and we can start looking forward to sunshine, warmer weather, and drinking plenty of refreshing iced tea. There are many bottled or ready-to-drink iced teas on the store shelves, but they can be loaded with sugar and preservatives. 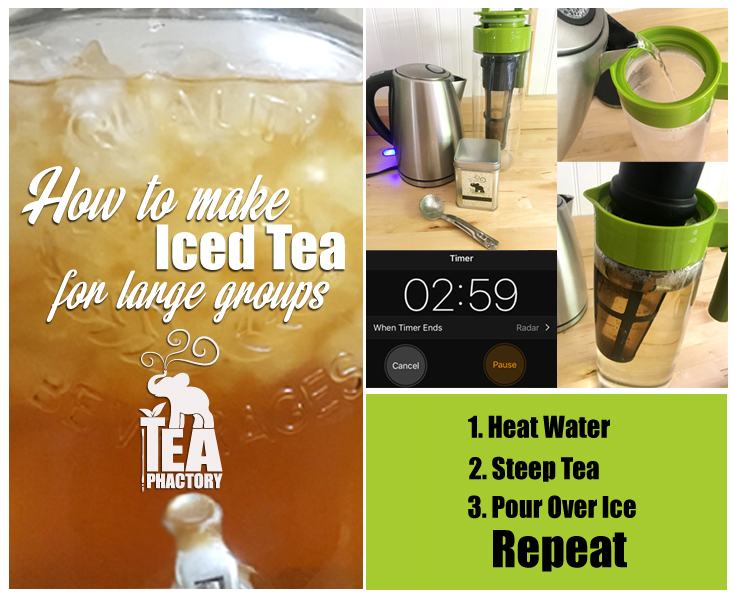 Brewing your own iced tea is fun and allows you to control the ingredients. You can personalize your iced tea by adding fresh or frozen fruits, different herbs and spices, and sweetener to your taste. 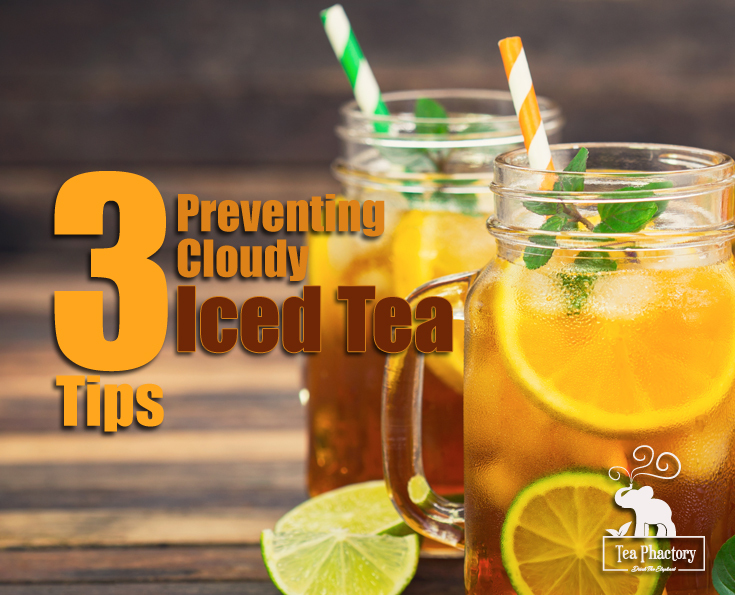 Sometimes iced tea can turn out cloudy or foggy in appearance, referred to as clouding. This happens randomly and is purely cosmetic – it doesn’t change the flavor or reflect the quality of the tea. Hard water contains high concentrations of minerals that can form visible solids which are not easily dissolved in cooler water temperatures. 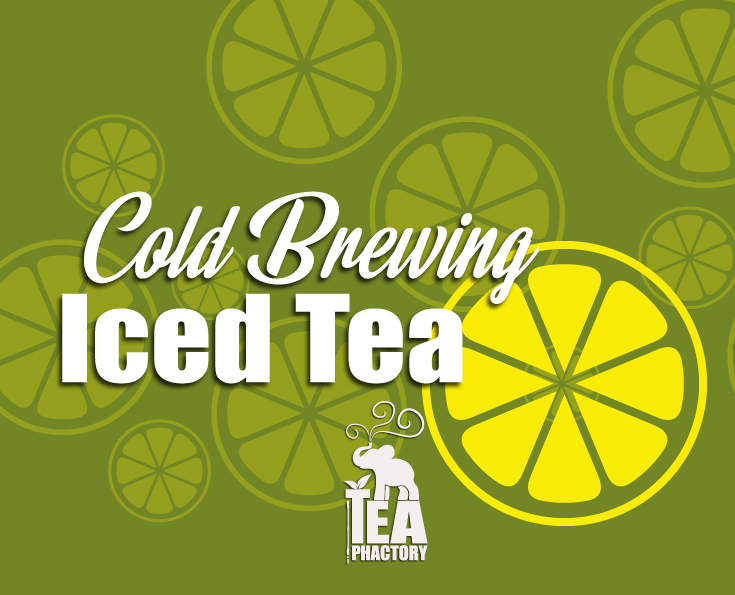 “Shocking the iced tea” (a term coined by tea industry consultant Richard Guzauskas) is a phenomenon that occurs when black tea is cooled too quickly. Solution: Allow the brewed tea to come to room temperature naturally prior to refrigeration. Black teas are most prone to clouding due to the oxidation during production. Solution: Use green loose leaf teas, herbals, rooibos, or yerba maté, all of which make tasty iced teas. TIP: If your tea does become cloudy you can save it by adding a small amount of hot water. This will reorganize the chemical structure of the tea and remove the cloudiness. Take care not to add too much hot water or the tea flavor will become diluted. To avoid cloudiness all-together try the cold-brewing method. Drinking several cups of tea a day is a delicious way to improve your health. Drinking tea can help with the health of your teeth, gums, and bones. Tea will also help reduce your risk of developing diabetes, heart disease, and Alzheimer’s disease. Tea, whether green, black, white, or oolong is loaded with flavonoids, the antioxidants that help the body ward off unwanted disease. As the summer heats up, it’s important to keep yourself hydrated by drinking plenty of liquids. 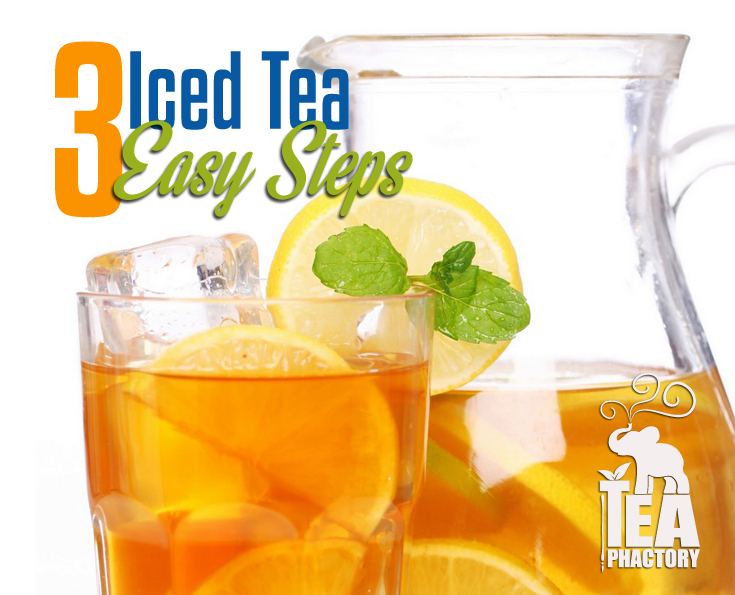 Homemade iced tea is a great way to keep your body hydrated as the summer heats up. 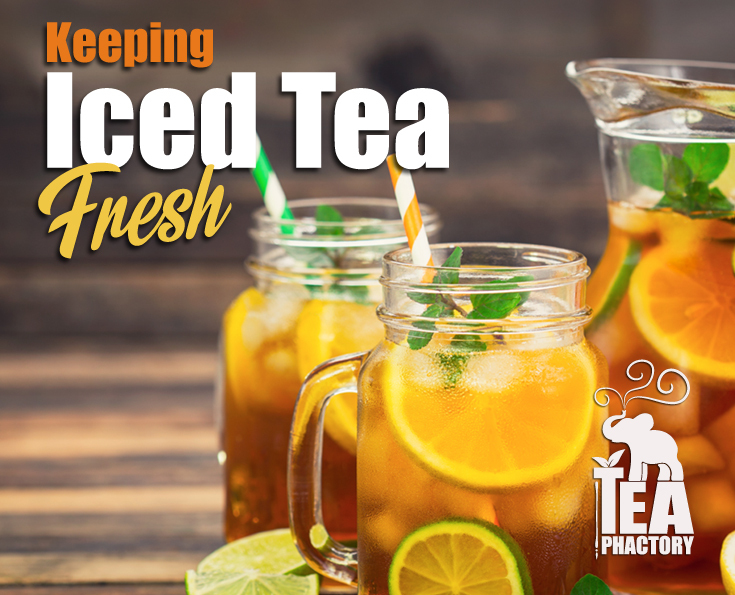 You will derive the most benefit from drinking freshly brewed tea, and now is the time to begin enjoying refreshing iced tea that you brew at home. Brewing your own tea ensures that you will get the most benefit from the tea. By not using powdered mixes or buying bottled iced tea, you will save money and eliminate the sweeteners and preservatives in prepared teas. Use fresh tea leaves. The oils in the leaves that give tea its flavor break down over time, diminishing the flavor of the tea. Opt for loose leaf teas rather than tea bags. Loose teas release more flavor as they expand and are fresher. Use fresh spring or filtered tap water. The quality of water will affect the flavor of your tea. Mineral water will give your tea an off-flavor and distilled water will make the tea taste ‘flat’. Use the correct water temperature. Black teas and herbals can be steeped in near boiling water, but boiling water will scorch white and green teas leaves, making the tea bitter. Oolongs can withstand hot to near-boiling water. Use the correct amount of tea. 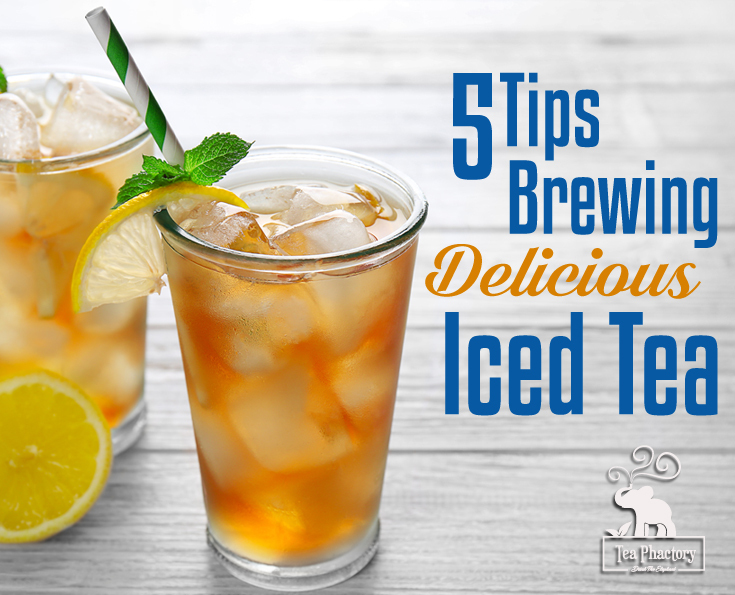 When brewing tea for iced tea, use twice the recommended amount of tea leaf as for hot brewing. Adding ice to hot tea will dilute the flavor of the tea. Use the correct steeping time. Tannins and other bitter tasting compounds may be released if tea is steeped for longer than the recommended time. Black teas, darker oolongs and herbals should be steeped for 3 to 5 minutes while white, green and lighter oolongs should steep for just 2 to 3 minutes. 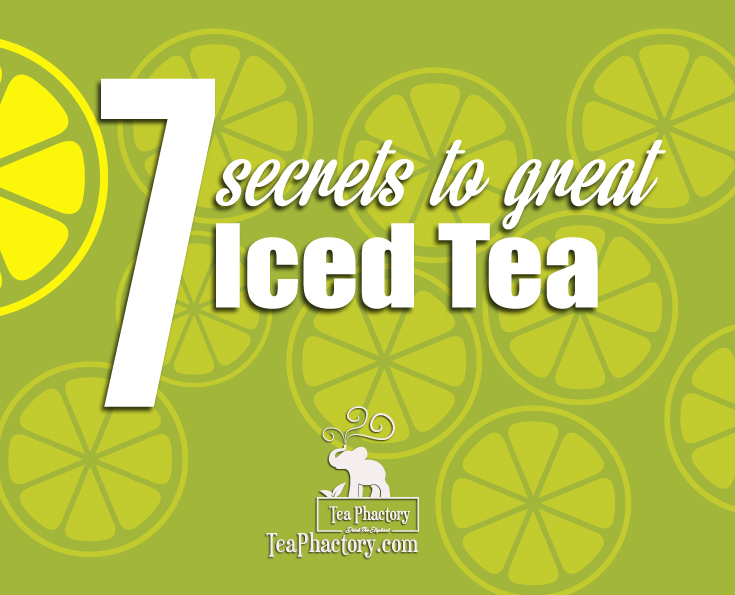 Bonus Tip: For white tea, you may want to try the cold-brew method for a simple, fail proof way to make iced white tea.